Big, bold but starting to get a little old. The 2017 Expedition still has a lot to offer, with tons of torque and exceptional reliability, it may be the right SUV for you. Unlike many competitors, its third row is adult friendly. However, its interior and ride quality can’t match those of main competitors like the Tahoe and Armada. If your main concerns are carrying capacity and reliability, then you should strongly consider the Expedition. When compared with its rivals, the Expedition doesn’t make much of value proposition. No doubt, it has its strengths but lacks the refinement of competitors. That’s tough to swallow when you’re shelling out close to fifty thousand dollars or more for a large SUV. This SUV’s sole comparative advantage is its class-leading reliability ratings. This makes it an attractive buy in the used market. If you’re looking to buy a used, you could do a lot worse than the Ford Expedition. Most truck-based SUVs are powered by big V8s. For bucks the trend and installs a twin-turbocharged Ecoboost 3.5 Liter V6 that makes 365 horsepower at 5,000 rpm and 420 lb-ft of torque at just 2,500 rpm. Despite making more power than many of its competitors, the Expedition is a little slower to sixty at 6.4 seconds. That’s most likely due to the “lag” of the turbocharged engine. It still isn’t slow. The benefit of the engine is its monstrous torque at lower revs than the V8s. It’s enough for the Expedition to have the second highest tow rating at 9,200 lbs. It’s not terribly efficient at 15 miles per gallon and 21 miles per gallon highway, lower than even some V8 competitors. Fuel economy is not a primary concern for most large SUV buyers, so it’s probably no big deal. Steering is surprisingly sharp and responsive. It’s a 3 ton monster, so don’t expect to carve corners at pace anytime soon. The independent suspension does a great job of smoothing out bumps and rough roads, especially in the Platinum trim with active dampening technology. It handles better than its direct competitor, the Nissan Armada. The brakes aren’t as good as competitors. The worst part of the driving experience in the Expedition is the excessive wind and road noise. Many other large SUVs have quiet cabins but the Expedition doesn’t. Perhaps that will change for the 2018 model, we’ll update you when more information is available. Overall, the Expedition boasts average performance characteristics for the class and excels at towing but little else. The 2017 Expedition’s interior is nice but not as nice as other large SUVs, namely the Chevy Tahoe and Nissan Armada. For what it lacks in pizzazz, it makes up in functionality. There are loads of real buttons, yes, real buttons that actually perform tasks when you press them! Around them you’ll find hard plastic and poorly executed imitation wood. There are some “soft touch” simulated stitched panels, scattered here and there. They seem an afterthought, rather than a integrous piece of the design language. It’s okay because you’ll spend more time looking out of the Expedition than at the dash. That’s where the Expedition excels. There’s plenty of glass to provide excellent vision from almost all angles when driving, refreshing in a segment where frivolous design and technology are replacing oversized windows. The seats are large, wide, and flat, as you may suspect in a truck. They aren’t exceptionally padded or supportive but comfortable enough to get the job done. You’ll find better seats in all the competitors, cloth or leather. Legroom and headroom are excellent in the second row. Third row room ranges from above average in the Expedition to exceptional in the Expedition EL. You can fit adults in the third row if you need to, unlike most competitors. Ford’s SYNC 3 infotainment system is standard in most trims. That’s good, because many reviewers like it unlike the MyTouch system it replaces. Unlike other SYNC 3 systems in other models, the Expedition’s doesn’t include Apple CarPlay or Android Auto standard for 2017. However, they can be added via software update. The voice command function of this system is unparalleled. It does a great job of figuring out what you want to do instead of requiring use of specific phrases. Siri Hands Free is also available for iPhone users with the SYNC 3 system. Cargo capacity is one of the best in the class with 55 cubic feet behind the second row and up to 108.3 with all rows folded. EL models have the highest capacity of any SUV with 42.6 cubic feet behind the third row and up to 130.8 cubes with all rows folded! Though the Expedition’s interior isn’t as refined as others at its price, it’s still not a bad place to be. We think the Expedition’s useable third row and class leading cargo space make it a practical choice for large families or those who drive large groups. The 2017 Expedition’s exterior hasn’t changed much since the 2015 mid-cycle refresh. There’s still an enormous chrome grille above a large intake that, together, monopolize most of the front fascia. There are headlights that haven’t changed a whole lot in the last decade. Below, LED fog lights let you know it’s a modern Expedition. The side profile hasn’t changed much either besides narrower side moldings and the addition of running boards in all trims. An “EXPEDITION” engraved metallic bar runs across the rear and blends nicely with the turn signal indicators on the tail lights. The Expedition is a conservatively styled, large SUV that’s beginning to look a little dated. Fortunately for you, the 2018 model goes on sale this fall and we think it looks a lot better! The Insurance Institute for Highway Safety hasn’t ever crash tested the Ford Expedition. The fourth generation Expedition receives a 5-star overall safety rating for 2017, with some variance in ratings in the preceding years despite few changes in the last decade. 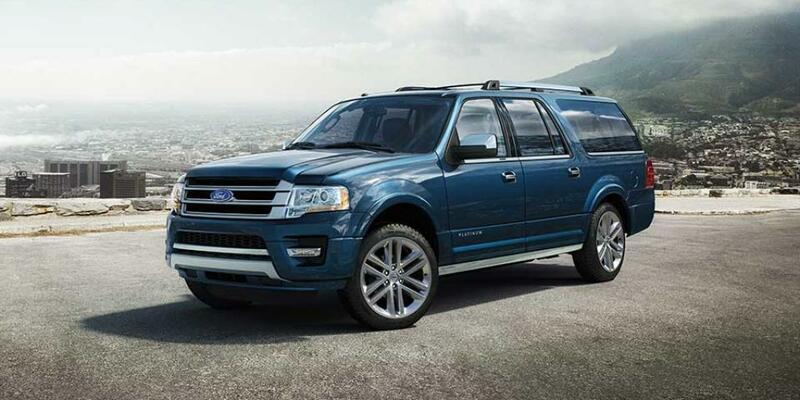 There are no advanced safety features available in the fourth generation Expedition. However, the all-new 2018 Expedition will have a full suite of driver assistance features available. At the time of this writing, details haven’t been released and it hasn’t been tested by the NHTSA or the IIHS. Since it is based on F-150, one can expect it will perform similarly to the 2017 F-150. The F-150 received all “GOOD” crash test results and a “Top Safety Pick” designation from the IIHS in 2016. However, the available front crash prevention technology receives a “BASIC” rating, the lowest possible. Ford will likely be playing “catch up” in the years to come. The Expedition is still a very safe SUV that should protect you and your family in the unlikely event of a collision. JD Power has steadily improved their reliability score for the fourth generation Expedition from 2.0 in 2008 to a 3.5 out of 5 for the 2017 model year. There have been no NHTSA recalls for the Fourth generation Expedition since 2012. The fifth generation has been released for the 2018 model year, but has not been scored. We will update when the information becomes available. Consumer Reports offers higher predicted reliability ratings, including an unprecedented 5 out of 5 score for five years. Issues reported by consumers include premature brake wear, fragile windshield, poor window regulator performance in cold weather, and minor electronic equipment failure. Our research turned up a potentially serious problem with Expedition throttle bodies. Numerous complaints have been filed with the NHTSA for unintended acceleration or sudden loss of power attributable to this issue. The NHTSA has not recalled any models for this issue in response. Ford did issue a Technical Service Bulletin (16-0139) for some 2015-2016 model Expeditions and other Ford models for this problem. According to the TSB, the problem can be fixed via software update. TSBs have also been issued for the SYNC 3 infotainment system that may malfunction. Most of the time, the issues can be resolved by a “hard reset,” simply detach the negative battery terminal for 15 seconds then reattach. Overall, the Ford Expedition is one of the most reliable SUVs on the market and is likely to save you money in maintenance and repair costs. The obvious contender to the Expedition is the Tahoe, but we’ve already compared the two in our review of the Tahoe. Instead, we’d like to offer an intriguing alternative, the Nissan Armada. It’s not quite as cavernous, but it’s a lot quicker and more refined. Like the Expedition, it’s also highly reliable. We think the Expedition is better looking on the outside and offers better visibility from the inside. Besides a better third row, the Armada is a much better SUV on the inside. It features a quiet cabin appointed with luxurious materials and a design far superior to the Ford’s. Many reviewers find the Armada an easier SUV to drive as well. The power delivery is smoother and it’s a bit more nimble thanks to less length and weight. Though that’s a bit like trying to figure out which elephant is quickest in the pro agility test. The Armada also packs advanced driver assistance features that aren’t yet available in the Expedition. We’d pick a new Armada over a new Expedition. However, the previous generation Armada isn’t nearly as refined as it is now. If you’re looking for a used model that’s a few years old, we’d go with the Expedition for its tried and true reliability. The Expedition XLT starts at $47,125 and arrives standard with a 3.5 Liter EcoBoost Twin Turbocharged V6, a six-speed SelectShift automatic transmission, 28 gallon fuel tank, rear wheel drive, hill start assist, 18 inch bright machined aluminum wheels with magnetic painted pockets, underbody mounted full size spare tire, all terrain tires, front cloth bucket seats, second row 40/20/40 split bench reclining fold flat seat with CenterSlide, third row 60/40 split bench fold flat to the floor seat, power driver’s seat, single zone electronic air temperature control, rear auxiliary climate control, SYNC enhanced voice recognition communications and infotainment system, SiriusXM radio, audio input jack, premium sound system, analog instrumentation with tachometer and single 4.2 inch cluster display, carpeted floor mats in first and second row, illuminated entry lighting, power adjustable brake and accelerator pedals, message center, auto-dimming rearview mirror, reverse sensing system, floor shifter, leather wrapped manual tilt and telescoping steering wheel with audio controls, cruise control, universal garage door opener, dual illuminated vanity mirrors on front visors, passenger assist handles, truck apps, liftgate with flip up glass, color keyed lower bumpers and cladding, chrome door handles, LED front fog lamps, quad beam reflector headlamps, black luggage rack side rails, black luggage rack crossbars, black running boards, Easy Fuel capless fuel filler, body color lower bodyside cladding and wheel lip moldings, bright chrome grille with magnetic painted inner accents, platform running boards, trailer hitch receiver, black power adjustable heated mirrors with security approach lamps, rear privacy glass, solar tinted windshield and front door windows, integrated blind spot mirrors, rear view camera, dual stage front airbags, Safety Canopy system, front seat mounted side airbags, electronic brake force distribution, SOS post crash alert system, SecuriCode keyless entry keypad, SecuriLock passive anti-theft system, and Ford's MyKey. 4x4 drive costs $2,925 and includes Hill Descent Control and Neutral Tow with front tow hooks. The 201A equipment group adds power heated side mirrors, 10-way power driver’s seat with 6-way power passenger seat, leather trimmed first and second row seats, PowerFold 60/40 third row bench, and power liftgate for $3,145. The 6,755 Equipment Group 202A furnishes power heated sideview mirrors, 10-way power front seats, heated and cooled front seats, leather trimmed first and second row seating, PowerFold 60/40 split third row, power tilt and telescoping steering column, remote start system, dual zone electronic air temperature control, power liftgate, SYNC 3, leather wrapped shift knob, Sony Premium Audio System with 12 speakers, 100V AC power outlet, Ambient lighting, Class IV trailer hitch receiver, wiring harness with 4 and 7 pin connector, Heavy duty auxiliary transmission oil cooler, heavy duty radiator, electronic braking wiring kit, and integrated trailer brake controller. The Limited trim costs $56,045 and adds an integrated trailer brake controller, 20 inch polished aluminum wheels with all season tires, front perforated leather trimmed bucket seats with heating and cooling system, PowerFold third row seat, heated second row outboard seats, dual zone electronic automatic temperature control, SYNC 3 enhanced voice recognition communications and entertainment system, premium audio system by Sony, memory feature for the driver’s settings, 110-volt AC power outlet, leather wrapped steering wheel with audio controls and power tilt and telescoping column, keyless entry with push button start, remote start system, forward sensing system, central speedometer with dual 4.2 inch cluster displays on either side, ambient lighting, power liftgate, halogen projector beam headlamps, chrome luggage rack side rails, body color running boards, bright chrome grille with thunderstorm painted inner accents, body color power folding power adjustable heated mirrors with security approach lamps and turn signal feature, memory settings and driver’s side auto-dimming exterior mirrors, and heavy duty trailer tow package. 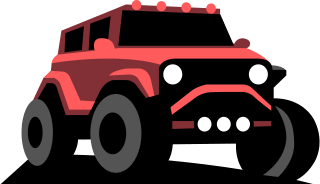 4x4 costs $3,040 and includes Hill Descent Control and Neutral Tow with front tow hooks. Equipment Group 301A adds a power moonroof, power deployable running boards, and voice activated navigation system with HD Radio for $2,785. The $60,615 King Ranch edition provides 20 inch bright machined aluminum wheels with Caribou painted pockets, Front Mesa Brown perforated leather trimmed heated and cooled bucket seats, available navigation with SiriusXM Traffic and SiriusXM Travel Link, HD Radio, carpeted first and second row floor mats with King Ranch logo, leather wrapped power tilt and telescoping wheel with Mesa Brown leather insert and audio controls, Blind Spot Information System with cross-traffic alert, Caribou two tone bumpers and lower fascia, bright chrome grille with Caribou painted inner accents, power deployable running boards, Caribou color lower bodyside cladding and wheel lip moldings, unique King Ranch exterior and interior badging, Caribou color running boards, and Chrome exterior mirrors with security approach lamps, signal feature, memory feature, and driver’s side auto-dimming. There are no additional packages, but tons of available options. 4x4 with Hill Descent Control and Neutral Tow with front tow hooks costs $2,920 on the King Ranch. The Platinum trim has an MSRP of $64,205 and installs a continuously controlled damping suspension system, 22 inch polished aluminum wheels with all terrain tires, a power moonroof, a satin aluminum grille with bright chrome inner accents, and power deployable polished stainless running boards. 4x4 with Hill Descent Control and Neutral Tow with front tow hooks can be equipped for an additional $3,045. No additional packages are available but Ford would love to sell you some extras, including Thule roof racks and cargo systems. EL, extra long wheelbase, model Expeditions cost roughly $3,000 more on all trim levels.